Are you ready for a fun color challenge? The sweater on this cute little polar bear seemed like the perfect canvas to use the colours in this week's challenge. 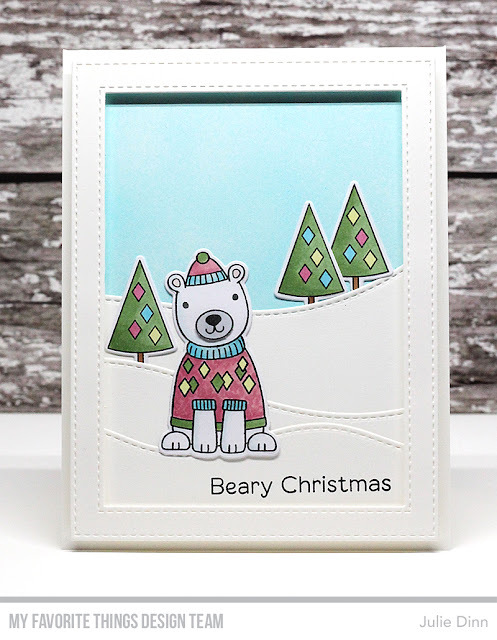 I stamped the images from Polar Pals on X-Press It card stock and I coloured them with Copics. The hills were created with the fabulous Stitched Snow Drifts Die-namics.